Picture windows are just what your home needs. These stationary windows can provide expansive views of the great outdoors while making your home seem larger and brighter. They can also be crafted in any shape that you desire and combined with another window style to create a look for your home that is all your own. 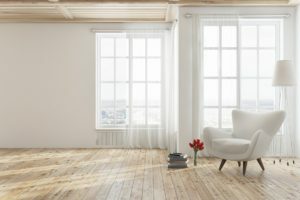 And, here at Clear Choice Energy Solutions, we offer picture windows that we would be proud to install in our own homes. Each one is crafted with beauty, durability, and energy efficiency in mind and backed by a lifetime warranty for the protection of your investment. Just partner with us, and you will quickly see why our windows are the clear choice for your home in La Crosse, Wisconsin. Ensuring that our customers receive the best picture windows for their homes is just one component of our renowned home improvement experience. We also provide an installation worthy of our exceptional windows. Our manufacturer-certified technicians will install your windows in accordance with the industry’s best practices to ensure that you reap the full benefit of your windows. And, they will treat your home as if it were their own, performing a full cleanup after every installation. Our goal is to make sure that you are 100 percent satisfied from start to finish, which is one of the many reasons why we continue to maintain an A+ rating with the Better Business Bureau year after year. If you would like to learn more about the picture windows that we have available to homeowners in the La Crosse, WI, area, then contact Clear Choice Energy Solutions today.